Skylights in the kitchen and master bedroom (which has a high vaulted ceiling) adds even more light to this lovely home. MLS#4800700. HomeSmart Cherry Creek. Additional amenities are available by joining the Foxridge Swim and Racquet Club located just a block away. MLS#2500227. RE/MAX Professionals. Villa Del Sol - Comps in same subdivision indicate up to $430, 000 after repairs. MLS#6771017. RE/MAX Alliance. You'll love the large backyard,vaulted main entry with great natural light, 2nd floor open loft, enormous Master bedroom with vaulted ceilings, walk in closet and a french balcony to enjoy your morning coffee, Two wood burning fireplaces, finished garage, beautiful mature evergreens, the entire home was reinsulated via county LEAP program (even crawl space),double-pane vinyl windows, easy to heat & cool MLS#7331416. REDESIGNED REALTY. Piney Creek The Glen - You have to see this property in person - impressive list of upgrades ! MLS#2841139. GUY OHL. The Hills At Piney Creek - Great Opportunity in a Much Sought After Community! MLS#1665460. RE/MAX Professionals. Chapparal - This is a pool and tennis court community with a very low HOA! MLS#4012250. RE/MAX Professionals. Chapparal - Minutes from Regis High School, along w Award Winning Cherry Creek Schools, DIA, Southland's Mall and Parker Adv. Hospital! MLS#9091177. RE/MAX Professionals. Piney Creek The Glen - Beautifully updated home w/full brick wrap**Gorgeous hardwood floors throughout main level & upper level**Gourmet kitchen boasts Viking gas cooktop, stainless appliances, double ovens, slab granite, pantry & stunning 2 story breakfast nook adjoining covered deck **Open floor plan**Huge vaulted family room w/beautiful brick fireplace & soaring windows w/gorgeous planation shutters ** Main floor study**Huge vaulted master suite w/five piece master bath remodeled w/beautiful stone shower & jetted tub**Jack 'n Jill suite**Guest bedroom w/ private bath**Lower level boasts entertainment room, game room & second office + 2 storage rooms**New roof **New windows **Four lovely bay windows provide architectural interest **Newer furnaces**Mature trees, deck, pergola & beautiful water feature complete the lovely backyard**Over-sized 3 car garage**Easy walk to 3 award-winning Cherry Creek Schools, Piney Creek pool, parks & tennis courts** Near Regis Jesuit High Schools & Cherry Creek State Park**WOW MLS#6863636. COLDWELL BANKER RESIDENTIAL 24. The Highlands - Don't Miss Out on This One! MLS#8826395. Keller Williams DTC. Known for our energy saving features, our homes help you live a healthier and quieter lifestyle, while saving you thousands on utility bills. MLS#7836921. Kerrie A. Young (Independent). A great value in The Knolls West Townhomes. MLS#3182450. KENTWOOD REAL ESTATE DTC, LLC. Dream House Acres - Bring your vision and your tools to bring this home back to life. 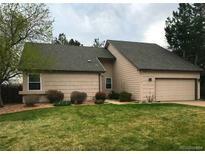 MLS#2801702. RE/MAX Alliance Northeast. Castlewood - To top it all off, the proximity to the Cherry Creek Trail is an outdoor enthusiast’s dream! MLS#3779090. Porchlight Real Estate Group. Sprawling ranch style home located in the desired Forest Park neighborhood*Over 4,000 finished SF*This amazing floorplan features: an office in the front of the house with built-ins*bright open kitchen with island & bar top*kitchen opens to the Atrium with vaulted ceilings*enormous master suite with walk-in closet (cedar floors) & sliding door to the back covered deck*6 piece Maser bath includes a steam room and bidet toilet*sit and relax in either the living room or family room with gas fireplace & exposed beams*Finish basement boasts a rec room, additional bedroom, 3/4 bath, sauna and tons of storage*The 10,000 sf lot includes RV Parking, dog run & shed*Backs to open space*Enjoy entertaining on the back covered deck or relaxing on the stamped concrete front porch*Owned Solar System*5 front windows new in 2015*New Sewer 2014*New AC 2016*Newer Garage Door*Mrs. Clean lives hear so bring your pickets buyers! MLS#6568823. US Realty Pros LLC. Whether relaxing in the hot tub on the covered patio, nurturing your veggies in your fenced in garden or just kicking around a ball in the back yard…this home has something for everyone! MLS#3952372. COLDWELL BANKER RESIDENTIAL 24. Piney Creek The Glen - Open house Saturday, April 20th from 1:00-4:00pm! MLS#9092623. Equity Colorado. Heritage Place - Once you step outside onto the large deck overlooking the delightful yard and the peaceful open space, you will never want to leave. MLS#7280199. MB The Brian Petrelli Team. Vista Verde - In the acclaimed Littleton 6 school district. MLS#3397385. Redfin Corporation. Broadway Estates - Finished basement with new carpet, spacious recreation room with bar area, 2 non-conforming bedrooms, 3/4 bath, laundry room, and storage. MLS#2351144. Madison & Company Properties.